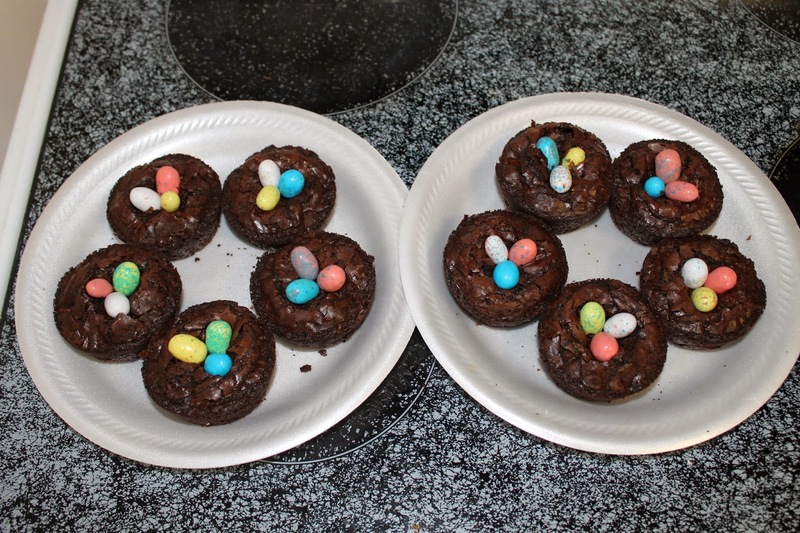 Brownie Bird Nests: Super Duper Easy Easter Dessert! 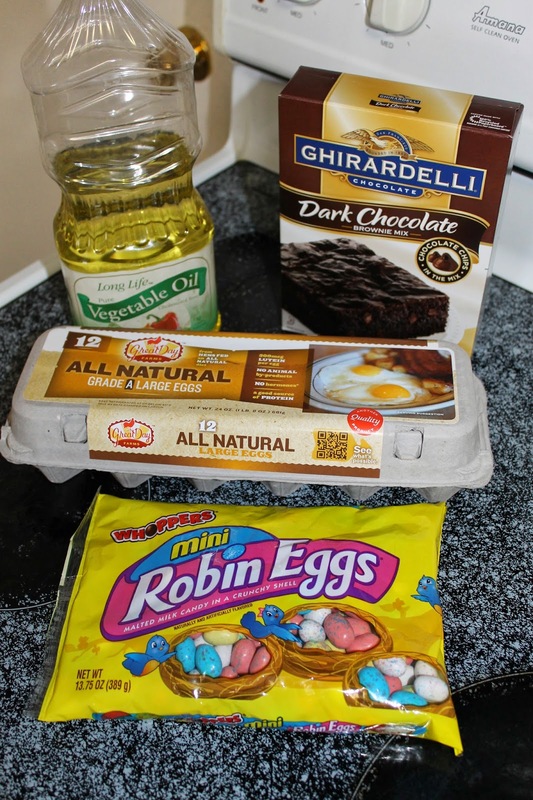 All you need is a boxed brownie mix (or make your own home made! 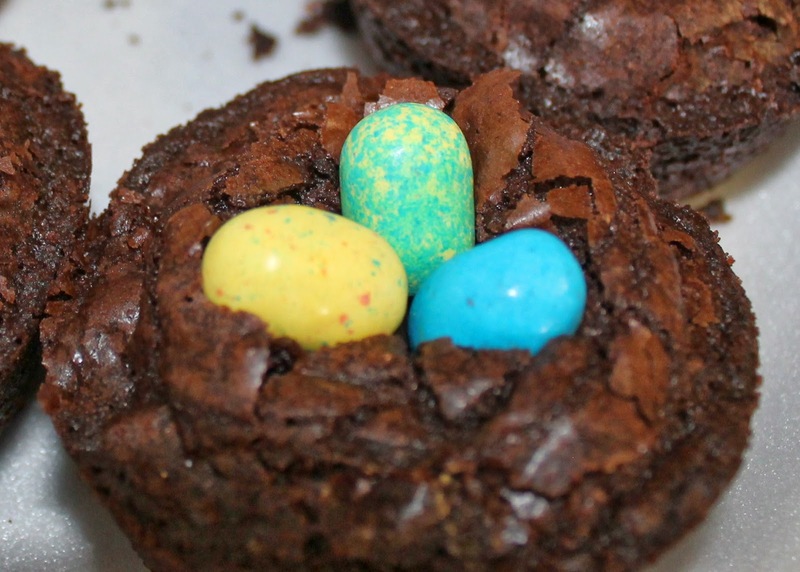 ), the ingredients your brownie mix calls for, and mini robin eggs. 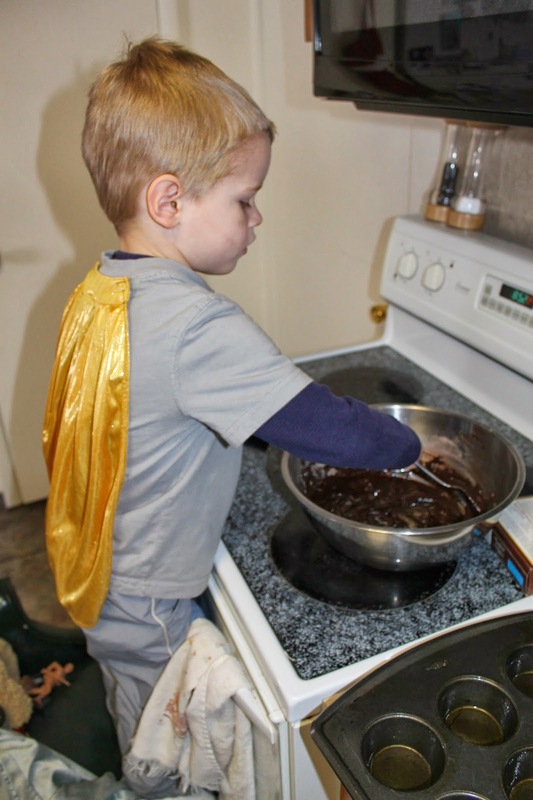 Then get your own personal super hero to stir up the brownie mix for you. 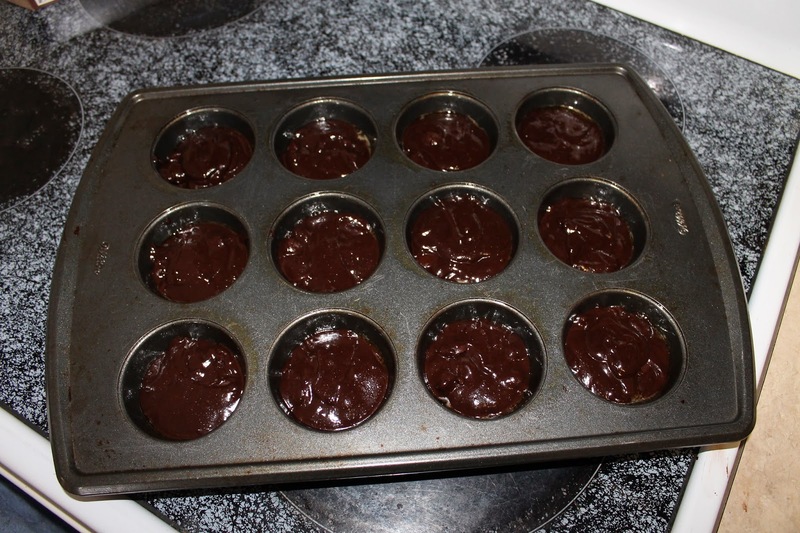 Spray a muffin tin with cooking spray and divide the brownie batter equally. 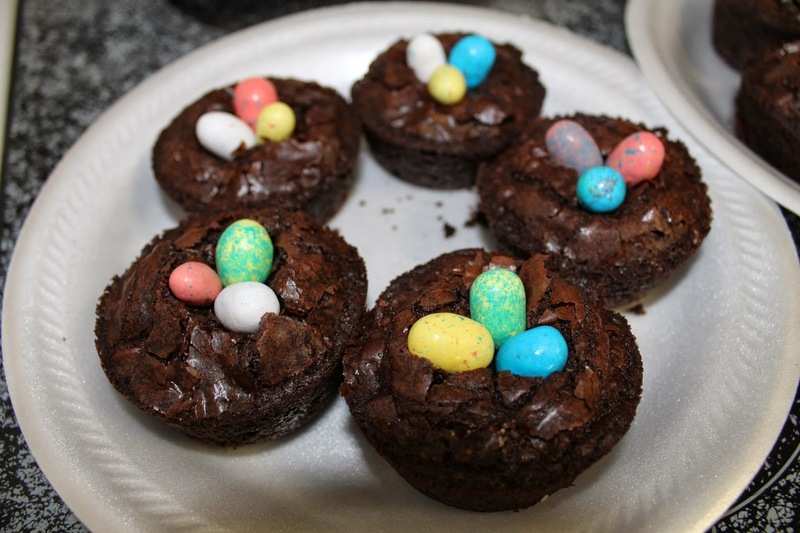 Let the brownies cool for about 15 minutes, then remove them from the pan and smoosh three robin eggs in the middle of each. 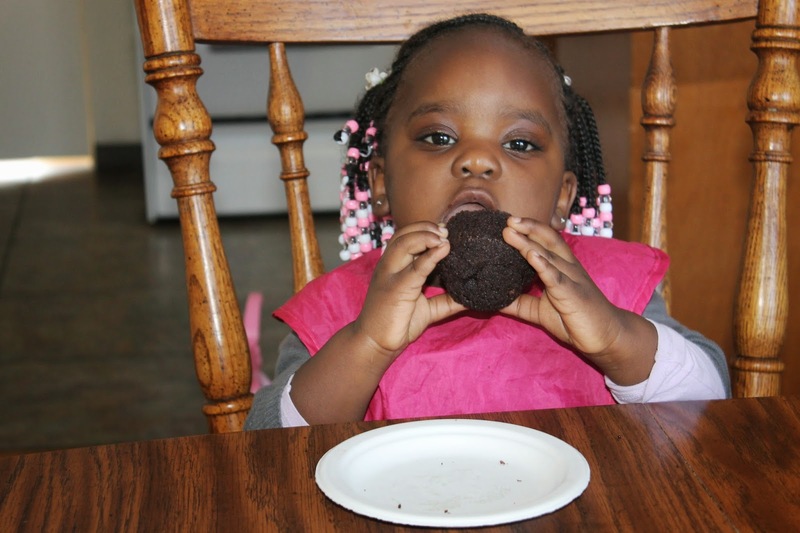 And finally, get your adorable taste testers to see if they approve! 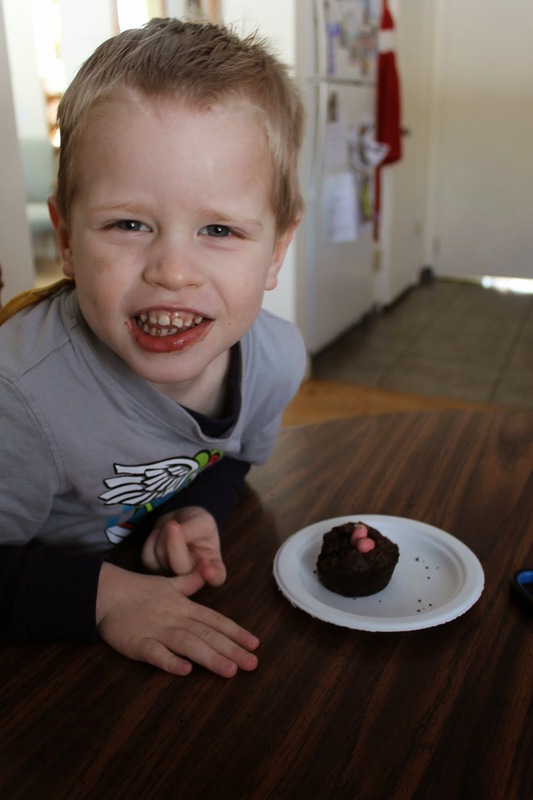 Isaiah loved them and ate two! Next Bumpdate: 40 Weeks! 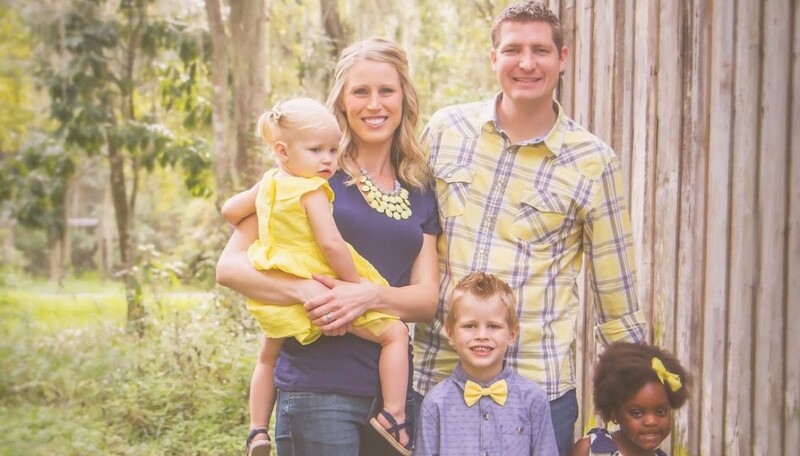 It’s My Due Date! those are cute and fun! I need to make things gluten free but there is gluten free brownie mix and I could do jelly beans or something similar. thanks for the idea. I agree that the best brownies are made by super heroes being supervised by their sister. Eloise just cracks me up with how much personality she has! Is Isaiah pretty cheerful? That could definitely work, Brandi! And they would be just as cute with jelly beans!! Yes, Isaiah is all about superheros these days! He has two shirts that have capes that velcro on and he wants to wear one or the other pretty much every day! Then he runs around the house thinking his cape can make him fly. 😉 Silly boys! 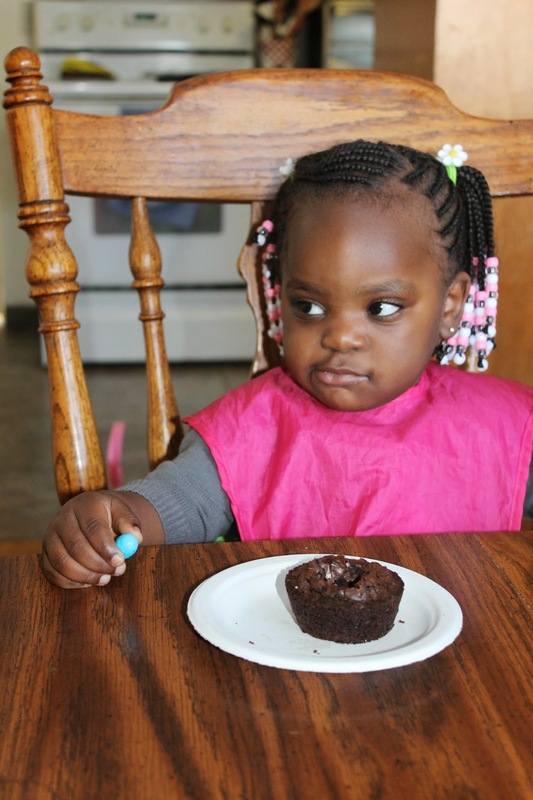 This recipe is so great to make with kiddos! Love it! These look adorable. They will sure be a hit around Easter. My mother in law makes something with chocolate rice krispies. There are so many varieties that you could make with this same idea… lots of desserts could make a cute little “nest” for the eggs. It would be fun to experiment with different things! Hi Amber. Thanks for sharing this with the Pintastic Pinteresting Party. 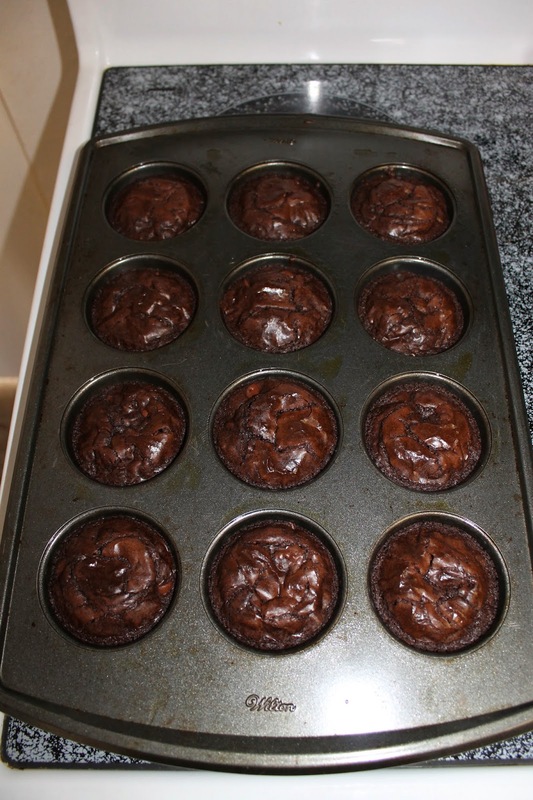 I love brownies and these look great. What a great super hero helper. I need one of those. Thanks again.